Nurturing a pharma brand and implementing ’emotional selling’ can help a product stand out from the competition. There is a topic that has, surprisingly, been the subject of controversial debate for years: do prescription products need branding? If we look at the current developments in the industry, the only answer to this question is a clear ‘yes’. The pharmaceuticals industry is – and is set to remain – an extremely competitive one. In addition, many patents for so-called blockbuster products, which have so far guaranteed a large part of the industry’s sales, are set to expire over the coming years. This all impacts companies’ profitability and growth. And, while brand development often used to be reserved for over-the-counter (OTC) products, strategic brand management has now become a must for prescription products as well. The brand management process must begin before the product has been authorised and continue after the patent has expired. In order to remain successful in the market, the marketing departments of pharmaceutical companies must be strategically realigned. This also applies to the job description of marketing executives; they now have to become brand managers instead of product managers. But what’s the difference? While product managers primarily use their comprehensive knowledge of the product to increase sales, brand managers are strategists. They are the ones responsible for brand management, development and positioning – regardless of what the actual products are. 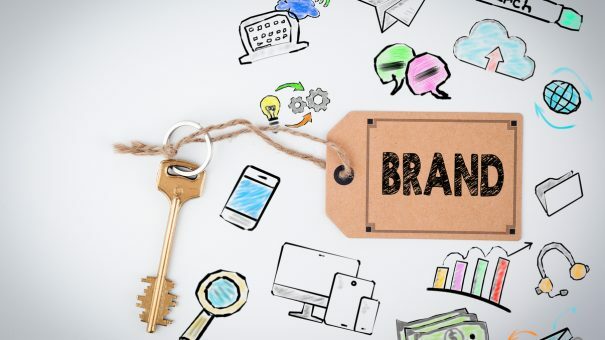 Just like in the FMCG market, brand managers must clearly identify the brand essence and the brand identity of the prescription products and continually nurture them. More than 10 years ago, Ernst Primosch, then head of Henkel’s global corporate communications, consistently took the approach of ‘a brand like a friend’. Just like any other brand, prescription products must establish a relationship with the person prescribing them that goes beyond the traditional product facts. The pharma brand must connect with people emotionally. The brand must appeal equally to people’s hearts and minds. The brand must create long-term, reliable brand experiences. The brand must become relevant. In doing this, a brand always provides orientation and confidence, too. Communication based on continuous repetition of product benefits is becoming increasingly interchangeable. So having a brand and implementing ’emotional selling’ is now the key to success. But how does a product become a brand? And how can we create emotional brand experiences that go beyond communicating the hard facts and pure benefits of the product? Simon Sinek, a British author, journalist and management consultant, came up with the model ‘The Why? The How? The What?’ (also known as the ‘Golden Circle’), an exciting approach that can be used to develop brands – including prescription brands. The Why? : Why does our company exist? What is it that drives us? What makes us get up every morning and come to work? Why should other people be interested in us? The How? : What is our competitive advantage? What is our unique selling point? The What? : What does our company produce? What are our products and what benefits do these products provide? It is vital that brand executives tackle these questions in this exact order! That’s because the answers to the ‘how’ and ‘what’ questions are generally fact-based, and most pharmaceutical companies won’t have any problems finding them, but the ‘why’ questions are often very challenging and need time to answer them. From my point of view, there are a lot of advantages to the brand-based approach and all these efforts and investments are worthwhile. A good brand has the power to affect the way a product’s characteristics are viewed. In some cases, people subconsciously associate a product with positive characteristics that it doesn’t have, or the consumer has ‘positive prejudices’ that can then become important factors in their decision to purchase a product. So, this kind of brand loyalty leads to steady (higher) sales. A good example is Apple. The company has a brand loyalty that most companies can only dream of. But no one can rely on brand loyalty alone. You can only create a brand loyalty when you have an outstanding product! And this is why brand management has a significant impact on the company’s economic situation as well. The brand also differentiates the company from, and strengthens it against, the competition. A further aspect that shouldn’t be underestimated is brand extension, which is becoming increasingly important. This allows the positive brand values of an established pharma brand to extend to new or future products too. 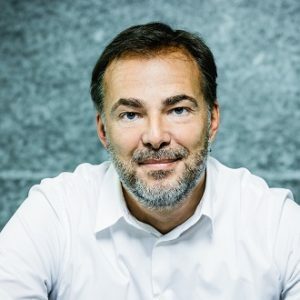 Dirk Poschenrieder is managing director at Havas Life Düsseldorf. He leads the Düsseldorf operation of Havas Health & You, a health and wellness network focused on promoting healthy living decisions across the entire health ecosystem.